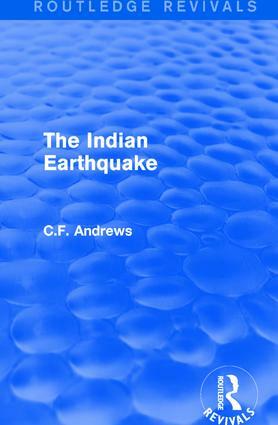 First published in 1935, this book provides a comprehensive overview of the 1934 Nepal-Bihar earthquake, giving a background to the earthquake zone, describing the event itself and surveying the ensuing devastation. The author also looks at the government’s actions and the response of India’s other states as well as the religious and social dimension to the reaction — exemplified by Mahatma Gandhi. The book examines how the earthquake was compounded by a severe flood that occurred shortly before, how preparations for the monsoon season were made in an attempt to limit further destruction and the subsequent recommendations for more earthquake resistant urban planning.